Much more to come in the Spring 2013 season at the Center! We’re almost midway through the 2012-2013 season at the Robert and Carol Morris Center for 21st Century Music. We’ve already had two exciting Slee Sinfonietta concerts featuring Robert Treviño, Yuki Numata, Daniel Pesca, and Daniel Bassin, a visit by composer James Romig from Western Illinois University, a tribute to documentary filmmaker Bruce Jackson featuring original music by David Felder, a recent residency by new music ensemble Norbotten NEO, and a slew of other concerts, performances, and projects. Many other events will be happening in the spring: we’ll have a visit from French composer Phillipe Hurel, a brief cameo by composer Josh Levine, hailing from Oberlin, Ohio, a visit from University of North Carolina composer and UB alumn Alejandro Rutty, and a guest appearance from percussionist Patti Cudd from the University of Wisconsin. We’re also looking forward to a residency from the terrific French new music ensemble Court-circuit, who will offer a fresh concert of new music pieces as well as perform UB graduate composer works. Most important, of course, will be June in Buffalo 2013, which will be the inaugural year of the June in Buffalo Performance Institute, and which will feature an exciting performance faculty comprised of cellist Jonathan Golove, pianist Eric Huebner, the virtuosic and tremendously popular JACK Quartet, percussionist Tom Kolor, and the incredible Talujon Percussion Ensemble. This will be the first year for young performers of new music to study, workshop, and collaborate with some of the leading interpreters of contemporary music at June in Buffalo. 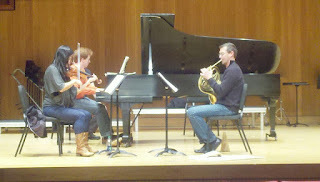 Wooden Cities performs University at Buffalo composers! The concert will also feature works by UB undergraduate composers studying composition with composer and teacher Jacob Gotlib: Ashley Barnes, Chien-Han Hsao, Robert Naranjo, Vincent Parlato, West Richter, and Kevin Westerman. Wooden Cities will be active this all winter long, and will give another concert on the following Friday, December 21, at the St. Joseph University Parish, when they will perform Olivier Messiaen’s Quatuor pour la fin du temps (1941), in playful recognition of the last day of the Mayan calendar. 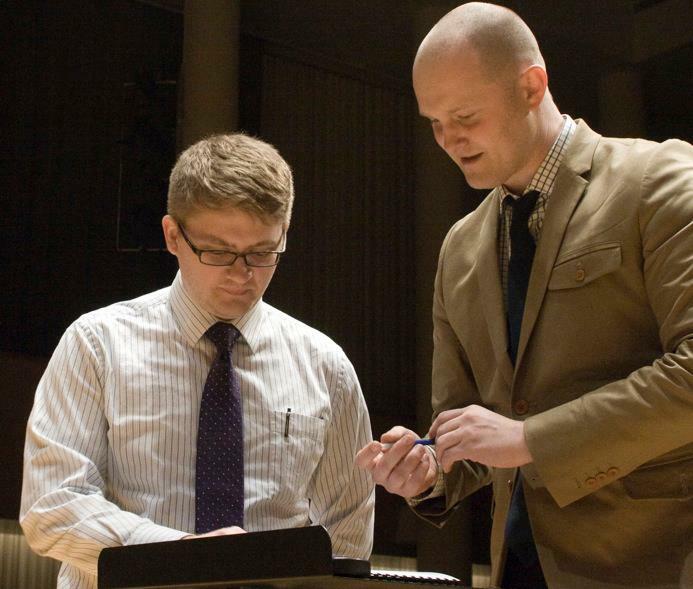 You can peruse performances and recordings of Wooden Cities on their soundcloud, where you can hear them perform Book, the doctoral dissertation by UB alumn composer Will Redman. 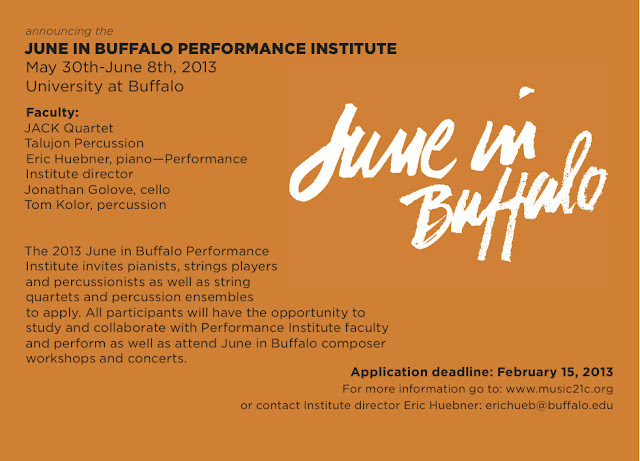 The Robert and Carol Morris Center for 21st Century Music is pleased to report that the applications are already rolling in for the first ever June in Buffalo Performance Institute, at June in Buffalo 2013. We have an absolutely all-star performance faculty line-up, including the JACK Quartet, Talujon Percussion, Eric Huebner, Jonathan Golove, and Tom Kolor. This will be a great opportunity for contemporary music percussionists, string quartets, ensembles, and other musicians to work with some of the most engaging, talented, and virtuosic musicians of our time. 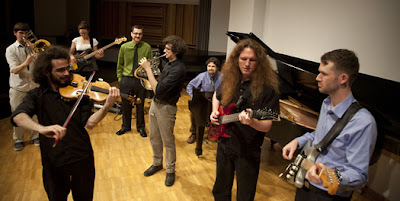 The Performance Institute enriches the entire June in Buffalo experience, and provides a network for composers and performers, young and old, emerging and veteran alike, to be able to meet, brainstorm, workshop, and collaborate together in a supportive and dynamic environment specifically designed to explore new musical frontiers. For more information visit our website at www.music21c.org or contact the June in Buffalo Performance Institute director Eric Huebner. The application deadline (postmarked) is February 15, 2013. We’re excited to report that UB graduate composer Robert Phillips will be traveling to Freiburg, Germany, next month to have a piece premiered on the 20th anniversary concert of Ensemble SurPlus. Ensemble SurPlus have been friends of the Center for 21st Century Music and the UB Department of Music since they first performed at June in Buffalo in 2005, and we’ve been fortunate to have them back frequently throughout the years. The University at Buffalo was blessed to have the founder of Ensemble SurPlus, James Avery, on faculty teaching piano and conducting the UB Contemporary Ensemble here in 2007 and 2008, when he brought a wizard-like sense of musical energy to all of the projects he guided and participated in. Since James Avery’s passing in 2009, Ensemble SurPlus has continued to be one of the most dedicated contemporary music ensembles around today, generously devoting time to working with composers, both old and young, and adding pieces to their repertoire after learning them at June in Buffalo or other conferences and festivals, and bringing new music and virtuosic performances to places all around the globe, including, recently, Ecuador, Korea, U.S.A., and Indonesia. We asked Robert Phillips to talk a little about his upcoming piece on the Ensemble SurPlus 20th anniversary concert, “I am greatly looking forward to the 20th anniversary concert of Ensemble SurPlus on Saturday, December 8th, at the E-Werk Freiburg. They asked me to compose what they referred to as a ‘conceptual’ piece for them, which would involve all 13 players on stage and could be performed without a conductor. 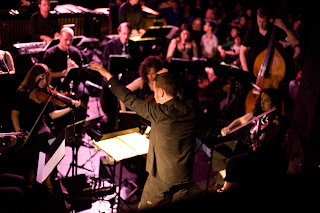 Having worked with SurPlus extensively in the past, I knew this project would be a great opportunity to work closely with a large cast of some of the world’s best musicians to workshop and experiment with new musical ideas, extremely flexible frameworks for interpretation, diverse interpretation strategies, and to forego the ordinary start-to-finish through-composing that is my usual method of operation. The piece is titled O Haupt voll Blut und Wunden, and is a collection of performance guidelines to work through five J.S. Bach chorales, with each player being given separate indications to interpret, alter, augment, distort, and otherwise navigate through their specific SATB voice-leading designation of the J.S. Bach chorales. “In O Haupt voll Blut und Wunden, written for and dedicated to Ensemble SurPlus on their 20th anniversary, the players are given performance directions and interpretation strategies to work through five J.S. Bach chorales. Each player navigates through one of the four individual Soprano, Alto, Tenor, or Bass contrapuntal lines of the chorales, and each of their lines have been augmented, distorted, expanded, and given indications to extend expressivity through a wide variety of performance techniques – all while the players read from the same four-voice SATB Bach chorale. We wish a firm proverbial breaking of the legs to Ensemble SurPlus, Robert Phillips, and all involved in the 20th anniversary concert on December 8th at the E-Werk Freiburg! Norbotten NEO visits the Center! We’re looking forward to a winter visit from virtuosic new music ensemble and long-time friend of the Center, Norbotten NEO, who will be in residence at the University at Buffalo Department of Music, from December 5 – 6. On Wednesday, December 5, they will perform a concert of contemporary music in Lippes Concert Hall at 7:30 p.m., and the next day, Thursday, December 6, at 12:00 p.m., they will perform works by University at Buffalo graduate composers Clint Haycraft, Colin Tucker, David Rappenecker, Nathan Heidelberger, Kenichi Saeki, Daniel Bassin, and Megan Buegger. Norrbotten NEO is Sweden’s newest voice on the contemporary music scene. Formed in January 2007, the ensemble is funded by the national, regional and municipal governments, and has a mission to perform throughout the country, as well as internationally. NEO has a core ensemble of seven musicians: flute, clarinet, percussion, piano, violin, viola and cello. NEO regularly incorporates new commissions into its repertoire and stages at least one chamber opera production annually under the name Piteå Chamber Opera. NEO has its home in Piteå, at the newly built Acusticum complex located in Sweden’s northern most province. Acusticum offers a unique working environment complete with a concert hall boasting world-class acoustics, a ”black box” theatre, as well as state of the art broadcasting and recording studios. Norbotten NEO has recently released a new CD full of music by contemporary composers, Bent Sørensen, Tristan Murail, David Felder, Rolf Wallin, and Steve Reich. The CD is titled The Age of Wire and String, and has been receiving rave reviews, including from the major Swedish newspaper, Svenska Dagbladet, "This is new music that sounds like new music should. Brilliance that bursts, switching timbre, a hair of repetition aesthetics. What stands out is the American composer David Felder and his work Partial [Dist]res[s]toration." UB composers at Guadeamus Muziekweek! We’re excited to report that UB composer Jacob Gotlib has been nominated to be a participant composer at Gaudeamus Muziekweek 2013, and has had his percussion duet Portrait Sequence (Blanching Out) chosen to compete for the prestigious Gaudeamus Prize. 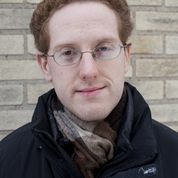 The University at Buffalo has a long history of composers being selected to compete for the Gaudemus Prize – first was Aaron Cassidy in 2002 with The Misprision of Transparency, for viola d'amore, and then Cassidy again in 2004, with his ten monophonic miniatures for solo pianist, then Robert Phillips in 2009, with his Mapauna mai kekahi (scent of another), for three players performing on various Hawaiian and percussion instruments, and more recently was Diana Soh in 2011, with her string quaret [Ro]ob[ta]ject[tions]. “Thirteen compositions have been shortlisted for the Gaudeamus Prize 2013. Over 200 composers under the age of 30, hailing from 29 different countries, entered a composition in hopes of winning this much sought-after award. Now the jury, consisting of Peter Adriaansz (NL), Annelies van Parys (BE), and Dmitri Kourliandski (RU) has made its selection. At the end of the Gaudeamus Muziekweek 2013 it will determine the winner of the Gaudeamus Prize. All nominated works will be performed during Gaudeamus Muziekweek which runs from 1 through 8 September 2013 in Utrecht, the Netherlands. “Gaudeamus Muziekweek is an internationally renowned festival for young composers and new music. It takes place annually in various locations in the central Dutch city of Utrecht. Apart from the short-listed works, Gaudeamus Muziekweek features numerous other pieces by young composers, including the new composition commissioned by the festival from the winner of the Gaudeamus Prize 2012, Konstantin Heuer (born 1989). In addition, there will be discussions, meetings, and talks with composers as well as sound installations in unusual locations. Next year's program will be announced in June. Gaudeamus Muziekweek runs from 1 through 8 September 2013. “Portrait Sequence (Blanching Out) is built around the question, what would happen if we did not strike percussion instruments, but instead allowed them to vocalize? Although it turns out that they can’t sing very well, with an affectionate touch, they can growl, snarl, wheeze, gasp, moan, and croak. Instruments that seemed literally far removed from innate, bodily music-making -- that were only as useful as far as they could be hit with a foot-long stick -- become prostheses for primal expression: visceral, ghastly, and heaving, but also fluent, articulate, and sensitive. The performers produce all the sounds in this piece by dragging, scraping, and scratching along the surface of the instruments with their fingers. You can see and hear some of these techniques in the promotional video I’ve made for the Gaudeamus festival. “This piece was commissioned by and dedicated to the Crossfire Percussion Duo, Jason Bauers and Bob Fullex. It would have been impossible for me to write this piece alone. It’s rare that a composer gets to enjoy such a close collaboration, and I am deeply grateful to them for the countless hours of meetings, recordings, sight-readings through terrible sketches, and harried last-minute rehearsals over the course of many months that brought this music to fruition. The Crossfire Duo has performed the work several times now -- most recently this summer, inside the Marine A grain silos outside of downtown Buffalo as part of Torn Space Theater’s production American Grain. 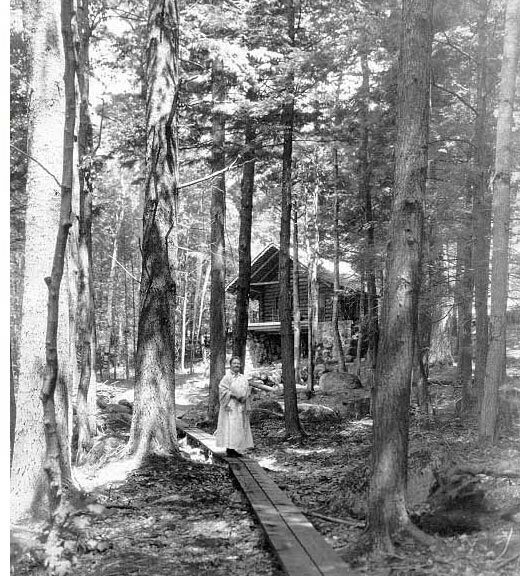 Congratulations to UB Alumn Adrienne Elisha on her MacDowell Colony Residency! Congratulations to UB alumn Adrienne Elisha on winning a prestigious residency at the MacDowell Colony, which is located in an idyllic rustic environment in Peterborough, New Hampshire, where she is currently expanding a solo bass piece for James VanDemark into a collaborative work for solo bass and modern dance, as well as working on a handful of other exciting projects as a composer. 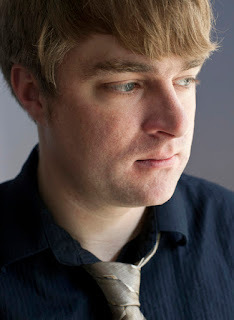 Elisha, who was Visiting Assistant Professor of Composition at Vassar College in 2008, is no stranger to artist colonies – she was recently nominated by Peter Eötvös for five months as a resident composer at Herrenhaus in Edenkoben, Germany, where she wrote a large work for sextet, and a work for solo viola. Other recent projects of hers include a multi-media collaboration with artist/sculptor Harry Roseman, head of the art department at Vasser College, which celebrated the anniversary of the Vassar Art Museum, and featured his murals on the walls of the museum. Elisha is an active violist, and regularly joins us in Buffalo to perform with the Slee Sinfonietta, and also regularly performs with the Boston Modern Orchestra Project. “Adrienne Elisha and music have an extraordinary relationship. As a creator and a re-creator, she understands music from the inside out and from the outside in. ”She is a champion of new music--equally talented as both a skilled violist and as a composer whose voice is distinctly contemporary but whose inspiration is drawn directly from the heart. And for audiences experiencing her compositions, the result is a mesmerizing and emotional ride into an imaginary sound world unlike any other: Mario Davidovsky has described her sextet Anthelion as “a new kind of polyphony”. Her music, as Leonard Bernstein put it, is “excitingly unpredictable, yet inevitable in retrospect. ”Adrienne is a 2007 winner of the Thayer Award in Music Composition, she received her Ph.D in Composition from the University of Buffalo, working with David Felder as a Presidential Doctoral Fellow. Also a graduate of the Cleveland Institute of Music and the Indiana University School of Music in Bloomington, Indiana, Ms. Elisha's grants and commissions include those from Meet the Composer, the National Music Teachers' Association (naming her the 1997 "Ohio Composer of the Year"), Fortnightly Music of Cleveland, Cleveland Chamber Music Society, newEar Ensemble (Kansas City) and the American Music Center. 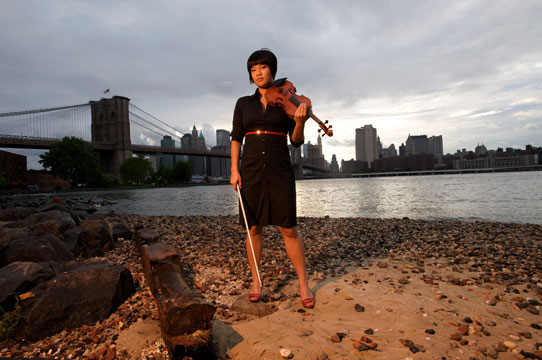 ”Her works have been featured nationally and internationally, including at June in Buffalo, The Colorado Springs New Music Symposium, the Chintimini Chamber Music Festival, and at the International Bartok Festival in Szombathely, Hungary, where she performed her own solo and chamber works and premiered those of other composers. We asked Adrienne about her time at UB and she remarked, "The composition program at UB allows each composer to express their unique voice, and David Felder sets the tone for this supportive environment." Adrienne Elisha currently lives in Rhinebeck, New York. 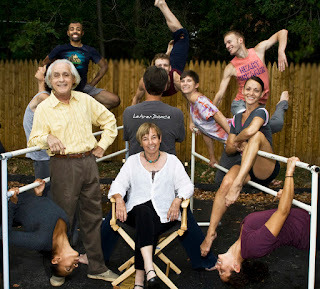 A Musical Feast 2012-2013 season opens with Julia Bentley, Kuang-Hao Huang, and the LehrerDance Company! We at the Robert and Carol Morris Center for 21st Century Music are happy to be co-sponsoring Child’s Play for Adults, the opening concert of the 2012-2013 A Musical Feast season in the Peter & Elizabeth C. Tower Auditorium of the Burchfield Penny Art Center, on Friday, November 9, at 8:00 p.m. The evening will showcase members of Western New York’s very own LehrerDance Company, who have been called "Stunning" by the Buffalo News, and "Breathtaking" by Dance Magazine, and are getting ready to embark on their Russian tour next month. Mezzo-soprano and longtime friend of the Center Julia Bentley will also be featured extensively throughout the concert, alongside pianist Kuang-Hao Huang. The concert has an exciting program of music and dance works by John Cage, André Caplet, Edward Lear, Oskar Morawetz, and Buffalo-based composer John Bacon. Check out the complete press release for Child’s Play for Adults below, we look forward to seeing you there! The independent, cutting-edge musical group known as ‘A Musical Feast’ launches its 2012-2013 season on Friday, November 9 at 8pm, co-sponsored by the University at Buffalo’s "Robert and Carol Morris Center for 21st Century Music" in its home in the acoustically superior Peter & Elizabeth C. Tower Auditorium of the Burchfield Penny Art Center. With this program, which features a decidedly high whimsical content, ‘A Musical Feast’ may well surpass its well-earned reputation for presenting uniquely eclectic combinations of music from a very wide range of eras, along with poetry and dance. Special guests for the concert include the Chicago-based mezzo-soprano Julia Bentley and her collaborative pianist Kuang-Hao Huang, along with the members of the LehrerDance Company, the finest interpreters of modern dance in Western New York, just prior to their Russian tour this December. This year also marks the centennial of the birth of composer John Cage (1912-1992), a genuine American maverick, who, it is safe to say, never lost the spirit of childhood during his long and very influential career. Cage’s 1942 work, Four Dances was originally composed for wordless tenor voice, prepared piano, handclap and percussion. The piece was subsequently re-titled Four Dances, and this rare performance of the re-titled work by mezzo-soprano Julia Bentley and pianist Kuang-Hao Huang will feature an original choreographic interpretation by the LehrerDance Company. Bentley and Huang will also perform three other sets of songs, including Cage’s Songs for Contralto and Piano, an early work from 1938 based on the poetry of the iconoclastic American poet ee cummings, as well as French composer André Caplet’s 1919 work Trois Fables de Jean de la Fontaine, a setting of texts by the French Renaissance fabulist Jean de la Fontaine (1621-1695). Rounding out the vocal portion of the program will be an area premiere performance of Czech-born Canadian composer Oskar Morawetz’s 1984 work, Souvenirs of Childhood, based on poetry from Robert Louis Stevenson’s beloved collection A Child's Garden of Verses. Also on the program, appropriately enough, Buffalo-based composer John Bacon will perform his 2007 work “The Electronic Playground” with the Fredonia Faculty Percussion Quartet, Kay Stonefelt, Tiffany Nicely. Matthew Wilson, percussion and electronics. 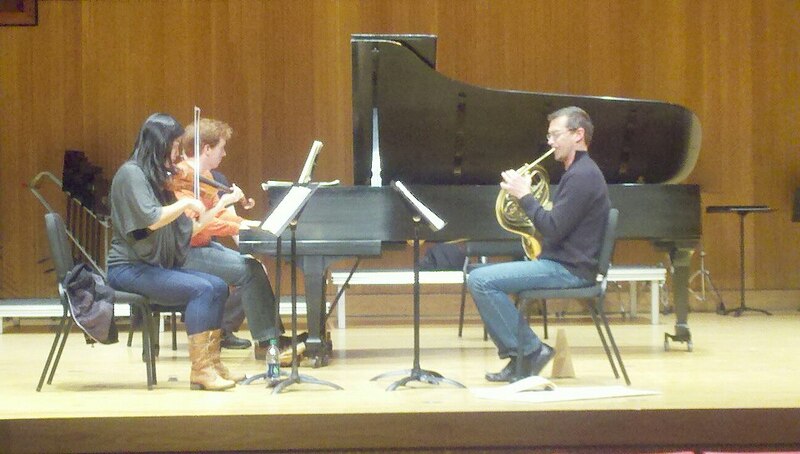 Hornist Adam Unsworth performs with the Slee Sinfonietta! We’re excited about our Second Fall Slee Sinfonietta concert coming up on Tuesday, October 30, at 7:30 p.m., and are happy to have received a thoughtful write-up in this week’s Buffalo Artvoice by Jan Jezioro, which is largely about the evening’s conductor Daniel Bassin, “Now in his third academic year as the UB Symphony Orchestra’s music director, Daniel Bassin enjoys his hectic schedule of music making. In addition to his duties as the UBSO music director, Bassin has also been conducting some very challenging works on this season’s Slee Sinfonietta series, yet he also somehow manages to find the time to perform often as a trumpeter with jazz ensembles in venues throughout the city. And he does this all while pursuing his PhD in musical composition at the University.” Read the entire article here. We thought we'd do a little profile on french hornist Adam Unsworth, who will be joining us for the evening, hailing all the way from the University of Michigan in Ann Arbor. His ensemble, the Adam Unsworth Ensemble, has recently released two CDs, Next Step, and Excerpt This!, which received rave reviews, including a terrific piece in All About Jazz, by Ken Kase, "Unsworth's debut recording does what the best jazz should do by asking questions, shunning orthodoxy and predictability and having a few laughs along the way. His virtuosity is undeniable... Unsworth and his group have created something rare and distinctive." Read more about Unsworth's work here. “Adam Unsworth is Associate Professor of Horn at the University of Michigan in Ann Arbor. Prior to his joining the faculty at Michigan, he spent nine years as a member of the horn section of The Philadelphia Orchestra and three years in the Detroit Symphony. Adam has appeared as a recitalist and clinician at many universities throughout the United States, and has performed repeated solo and chamber concerts at Carnegie's Weill Recital Hall. He is the leader of his own jazz group, the Adam Unsworth Ensemble, which recorded the critically acclaimed CD, Excerpt This! and now has completed a second recording, entitled Next Step. 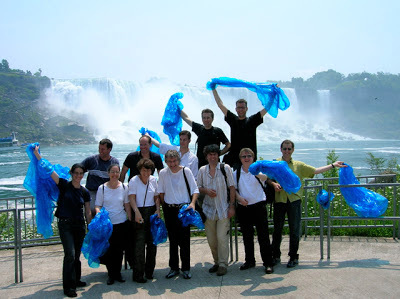 The group embarked on its first U.S. tour in October 2007. 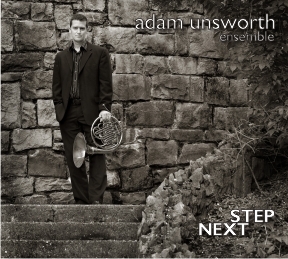 “Next Step, the Adam Unsworth Ensemble's 2008 release, is a culmination of work done after his leaving the Philadelphia Orchestra in 2007, a move made in order to devote more time and energy to teaching and creative endeavors. It features new Unsworth compositions for jazz quintet of horn, woodwinds, vibraphone, bass, and drums, and two original works by multi-woodwind virtuoso Les Thimmig. 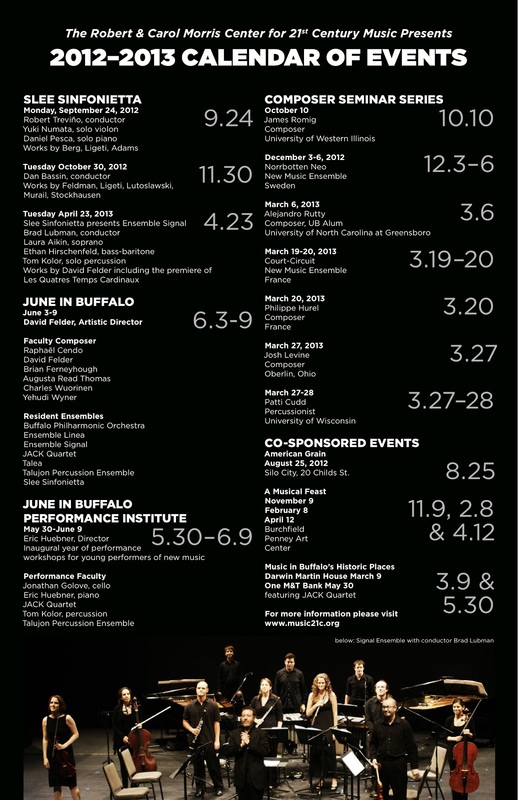 Presented by the Department of Music and The Robert and Carol Morris Center for 21st Century Music, June in Buffalo, a festival and conference dedicated to composers, will take place from June 3 -9, 2013 at the University at Buffalo. 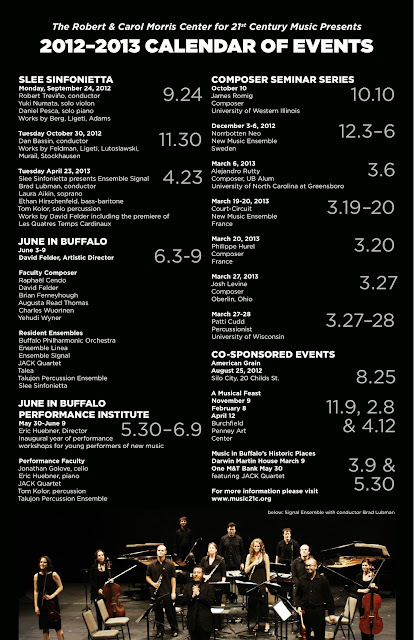 June in Buffalo offers an intensive schedule of seminars, lectures, workshops, professional presentations, participant forums and open rehearsals as well as afternoon and evening concerts open to the general public and critics. Each of the invited composers will have one of his/her pieces performed during the festival. 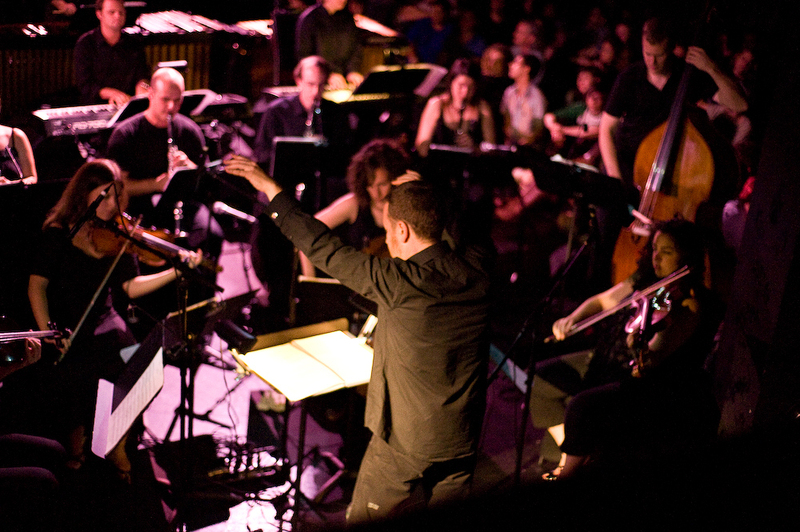 Evening performances feature faculty composers, resident ensembles and soloists renowned internationally as interpreters of contemporary music. 4. One or two scores that demonstrate your recent work and accompanying recordings, if available. 6. A SASE for the return of materials (optional) and an e-mail address at which you can be easily contacted. If the performance of a selected work by a participating composer becomes impossible due to circumstances beyond the control of the June in Buffalo festival, every attempt will be made to arrange a substitution where possible. To apply as an auditor, please send a résumé and the processing fee. Auditors attend all June in Buffalo events, but will not have a piece performed. On-campus housing, 7 nights, single occupancy: $300. Additional: $30/night. No double occupancy discounts; no meals included.